GCNT’s primary mission in 2019 is to provide private organisations, especially leaders in the industries and companies listed in the Stock Exchange of Thailand, with necessary guidance to ensure that they recognise the role of business case for the achievement of sustainable development and entre the GCNT membership to create high-impact collaborations. GCNT is looking to hold a series of roadshows at private sector facilities and the chambers of commerce nationwide. The network expects to increase the number of members from the current 40 to 100 by the end of 2019, and will continue to support and assist Thai private sectors through the network. 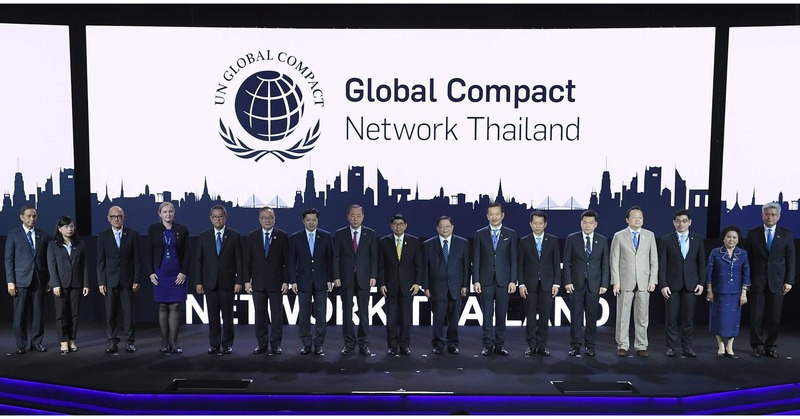 Founded in 2017, Global Compact Network Thailand (GCNT) is currently joined by 40 leading Thai corporates whose common purpose is to facilitate balanced and sustainable economic, social and environmental development in accordance with United Nations Global Compact — a collaborative network of private sectors that encourages businesses worldwide to adopt sustainable and socially responsible policies with more than 13,000 members in 160 countries.